Essential for long-term sustainable production, soil needs careful management to ensure it is capable of realising the potential of new varieties. Our soils are living organisms and a healthy soil provides the foundation for successful crop production. Poorly performing soils should be investigated to identify the cause of the problem, which may be physical, biological or chemical. Frontier’s Soil Life service measures the vitality of your soils and recommends solutions to improve them. The vitality index represents the potential of your soil to support high yielding crops. The key issues we have found in analysing soils across the UK are reduced organic matter and increased compaction. Both have a dramatic effect on microbial activity, which is required in order for nutrients to be made available to the growing crop. Organic matter levels have been falling for years; the continual movement of soil introduces oxygen to the soil, leading to the oxidation of organic matter. This makes the soil vulnerable to compaction, which prevents root development, limits nutrient and water uptake, and increases the risk of waterlogging in winter. This can only be rectified over several years. Compaction can also be caused by large machinery, particularly when harvesting root crops in poor conditions. Whilst this is often unavoidable, the effects can last for years. Although tyre design has improved significantly, machinery axle weights have disproportionately increased, leading to greater compaction. A reduction in the number of passes across the field will help, as will improved drainage and an increase in organic matter. A comprehensive map of the soil texture and nutrient status for each field is the foundation for all cultivation practices, which can then be altered to reflect the conditions. Variable rate cultivation is a relatively new approach which reduces the likelihood of compaction. It offers fuel saving benefits, better work rates and improved herbicide efficacy. 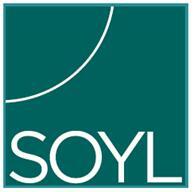 SOYL, a division of Frontier Agriculture, is the leading precision crop production service provider in the UK. To find out more about how they can help, please click here. Kings is working with many growers on the use of cover crops to improve organic matter and drainage in soils. Effective cover crops for boosting organic matter include forage rye, radish and mustard. Kings is exploring the creation of mixtures specifically designed to improve soil biota for the future. To find out more about how they can help, please click here.